College is a big business. No matter that half of all college degrees, my own included, are wasted. In fact, a lot of people would have a better life without wasting time and money on a degree, but for a lot of people, college is more about what it represents than the actual education. That drive is what has made for-profit colleges some of the most lucrative businesses in the world. 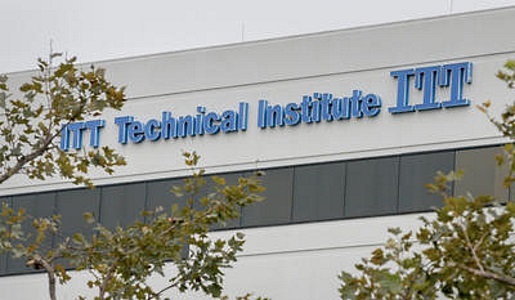 The biggest and oldest, ITT Tech, is basically famous for selling the dream of college to people who might not otherwise be able to get into college. The government, concerned about federal student loan debts, has moved to forbid their funds to go to ITT. In turn, ITT Tech has closed its doors, putting some 8000 employees and 35000 students who were just about to start classes for the fall. If you’re a student who recently quit ITT or signed up, you’re eligible to get your tuition money back from the federal government. ITT is going to be proactive in helping students obtain their records for transfers and to verify degrees. Even the Education Department is getting involved, encouraging community colleges and the like near ITT campuses to accept transferred credits. The government has set up a special website to help ITT students figure out their options.